Jana Partners is expected to receive about $320 million from its Whole Foods Market Inc.'s (WFM investment after the organic grocer closes its $13.7 billion sale announced Friday to Amazon.com Inc. (AMZN - Get Report) . The sale marked a major victory for Jana Partners, which in April launched a campaign to have the organic grocer consider selling itself. The fund was a key driver for a deal that will likely transform the grocery store industry. But also, it is expected to generate a windfall, net of fees, that Jana Partners' Barry Rosenstein will likely invest partly into another insurgency campaign in the coming months. "I would certainly expect to see Jana deploy its profits into a new activist campaign," said Thomas Bell, a managing director at proxy solicitor Morrow Sodali. "They have been doing event-driven investing for since 2001, and this will provide them with a lot of dry powder to continue with that approach." The activist investor accumulated its original 9% Whole Foods stake between Feb. 9 and April 10, at prices ranging from $29.14 a share to $31.80, significantly lower prices than the $42 a share Amazon acquisition price. The Deal estimates Jana Partners returns based on the 28 million shares it owned as of May 30. Jana Partners did not return calls. At this stage, it is unclear what company Jana Partners and Rosenstein might target next. However, its existing investments can provide some clues. For example, the fund owns a 0.3% stake in Acadia Pharmaceuticals (ACAD , a drug company that also features a 0.6% investment by another major activist, Elliott Management's Paul Singer. The company has frequently been mentioned as a potential buyout target, but Jana or Elliott (or both) could both agitate for a deal if one doesn't happen soon. Jana Partners also recently bought a 0.7% $219 million Sherwin-Williams Co. (SHW - Get Report) position, a company where another activist, Third Point's Dan Loeb owns a 1% stake. Also, according to a recent securities filing, Jana Partners recently acquired a 0.3% stake in Hewlett-Packard Enterprise Co. (HPE - Get Report) , a company that already has investments from three other activists, Third Point LLC's Dan Loeb, Starboard Value's Jeff Smith and FrontFour Capital Group LLC. The congregation of activists at both Sherwin and Hewlett-Packard suggests that a campaign could emerge soon. Jana Partners also recently bought a $4 million stake in Laureate Education Inc. (LAUR - Get Report) and a less-than-1% stake in retirement services company Athene Holding Ltd. (ATH - Get Report) . It also accumulated a new 0.2% position in Shire PLC (SHPG for about $99 million and a 0.6% stake in Resolute Energy Corp. (REN and a 1.2% stake in WebMD Health Corp. (WBMD for $25 million. Any of these companies could become Jana Partners targets in the coming months, though expect the activist investor to increase its position before launching a campaign. Jana also hiked its stakes in drug company Dermira Inc. (DERM), Select Medical Holdings Corp. (SEM) and Universal Health Services Inc. (UHS - Get Report) and fiber networking company Zayo Group Holdings Inc. (ZAYO) over the past quarter. An increased position at these companies also suggests that a campaign could be around the corner. For example, Jana owns a 2.7% stake in Universal Health Services. Zayo may be particularly vulnerable to an activist. 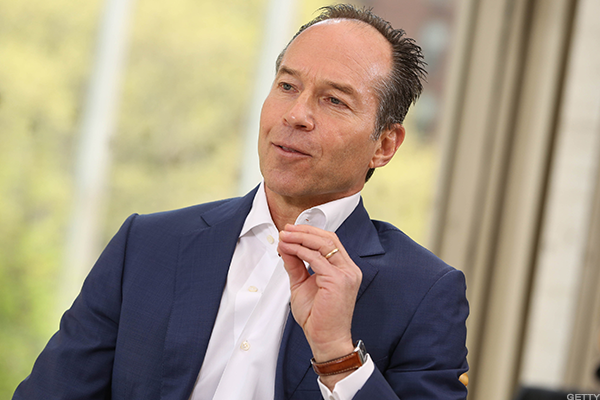 In addition to Jana Partners, Zayo Group features investments from two other well-known insurgent investors, Corvex Management's Keith Meister and Third Point's Loeb, who reported owning 1% and 2.5% respectively. The fund also reported owning a 0.3% stake in British drug company GW Pharmaceuticals PLC (GWPH , 0.4% stake in Radius Health Inc. (RDUS) and a 1.1% stake in risk management company Willis Towers Watson (WLTW - Get Report) , a company where another activist, ValueAct, owns a 6% stake.